Student newspapers are an amazing window into the past history of your college campus and campus life. Told from the perspective of student writers and interviewees, stories provide an important and contrasting perspective to other historical and official college documents (i.e., Board of Trustees' minutes). Many of the issues reported by students in the past remain of major interest today! reports on a Cañada student protest to raise awareness of upcoming fee hikes. What's in a Student Newspaper? 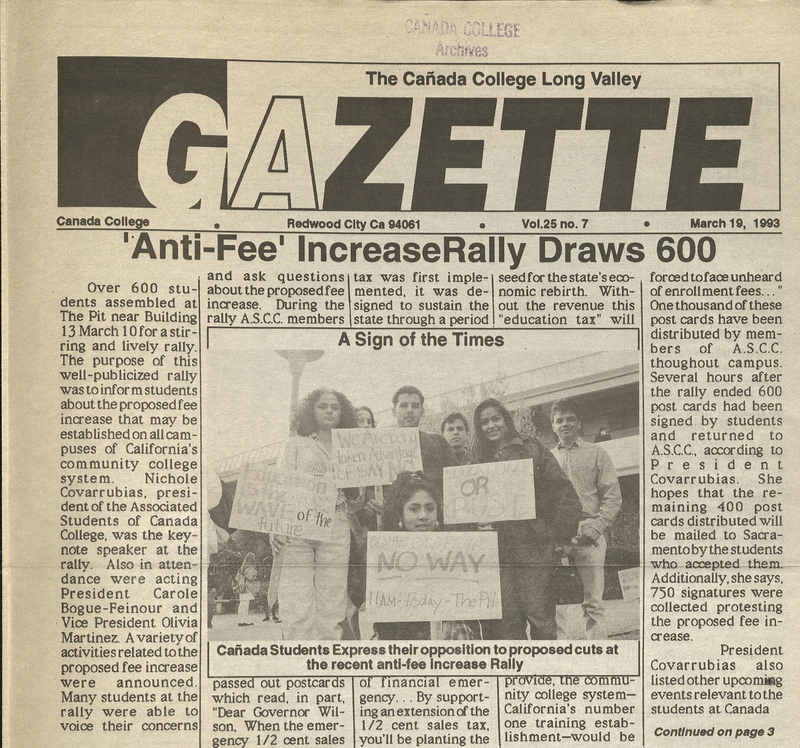 Cañada College students have published several campus newspapers over the years. The newspaper experienced several name changes, as well as gaps in publication. You can read, share, download and print any of the newspapers below. 1. First select the newspaper title above whose dates best correspond to the timeframe you're researching. 2. Next, select a date folder for one academic year, such as 1968-1969. 4. Now you're ready to read, share, print, download or cite your article.